I, Donald Helms, Chairman of the Botetourt County Republican Committee do hereby call a meeting of the Botetourt County Republican Committee to be conducted at the Old General District Courthouse in Fincastle, VA at 7:00PM on Tuesday, April 17th, 2018. Mass Meeting will be March 17th 2018. The links below are for the official call, and the filing form to register for a number of positions including 6th District Convention Delegate, Committee Chair, and Member of the Botetourt County Republican Committee. Deadlines and details are included. I, Todd Dodson, Chairman of the Botetourt County Republican Committee do hereby call a meeting of the Botetourt County Republican Committee to be conducted in the Old District Court Room in Fincastle, VA at 7:00 PM on Tuesday, February 13th, 2018. 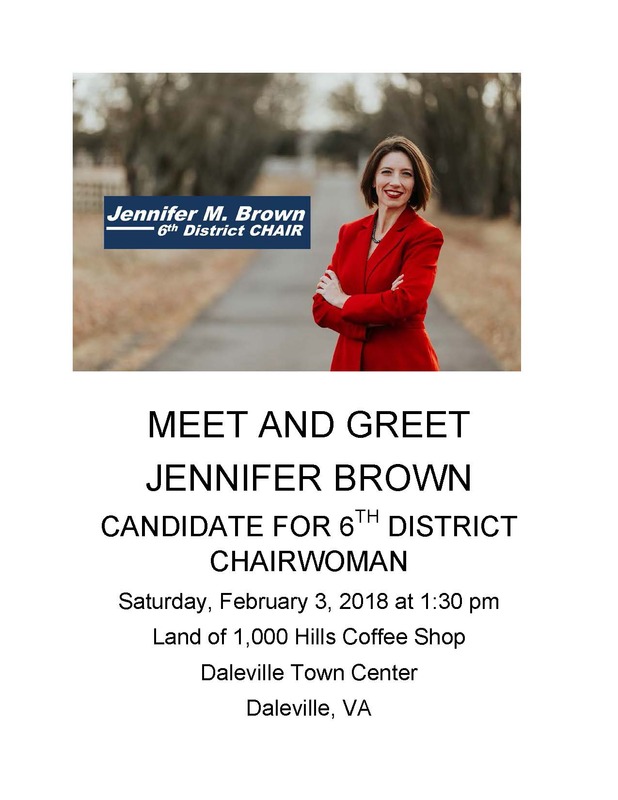 Meet Jennifer Brown This Saturday. 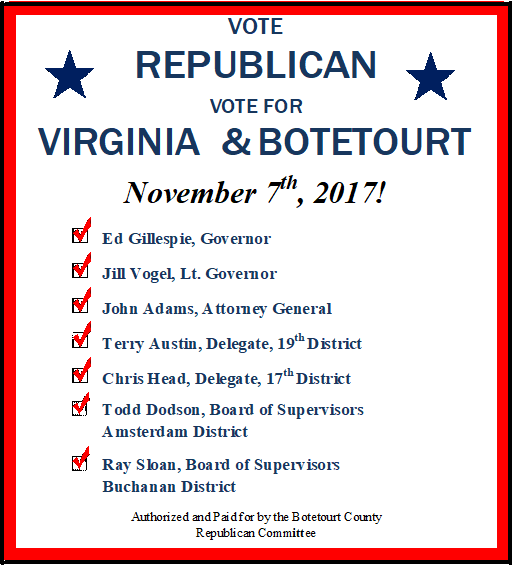 I, Todd Dodson, Chairman of the Botetourt County Republican Committee do hereby call a meeting of the Botetourt County Republican Committee to be conducted in the Old District Court Room in Fincastle, VA at 7:00 PM on Tuesday, January 16th, 2018. We will have a special meeting to discuss election day activities and support, pass out election material and organize volunteers to pass out material at the polls. We will meet at the Old District Court Room in Fincastle, VA at 7:00 PM on Thursday, November 2nd, 2017. Bring gift cards to the the September 12th Committee Meeting! Primary Day is here! Are you ready to vote? This election is important, and it is your chance to let your voice heard again! As voters, we all have an equal say in determining our future. That’s why it is so important to go cast a vote in every election! On Primary Day, polling places are open in from 6:00 AM to 7:00 PM. At the polls, you’ll be required to show an ID. If you do not have an ID, you can still vote – the poll workers will explain the process. The Republican Candidates we select will be our candidates on the ballot this fall, and the first step in taking back our State – like we took back our country last fall. 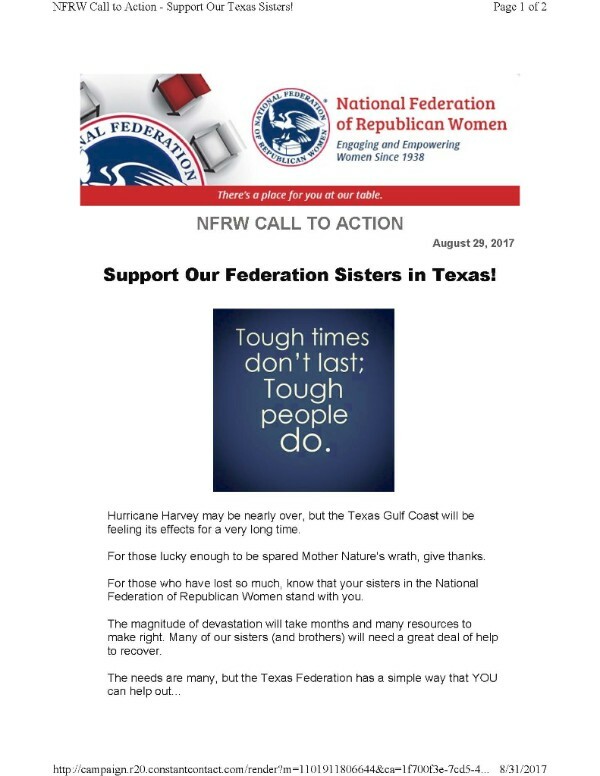 So don’t sit this one out — join your friends and neighbors and let your voice be heard! Or please feel free to contact our county Registrar at 540-928-2120. Corey Stewart’s #JobsNotMobs Rally THIS Sunday in Roanoke! cboothva on Get Your Trump Yard Sign! 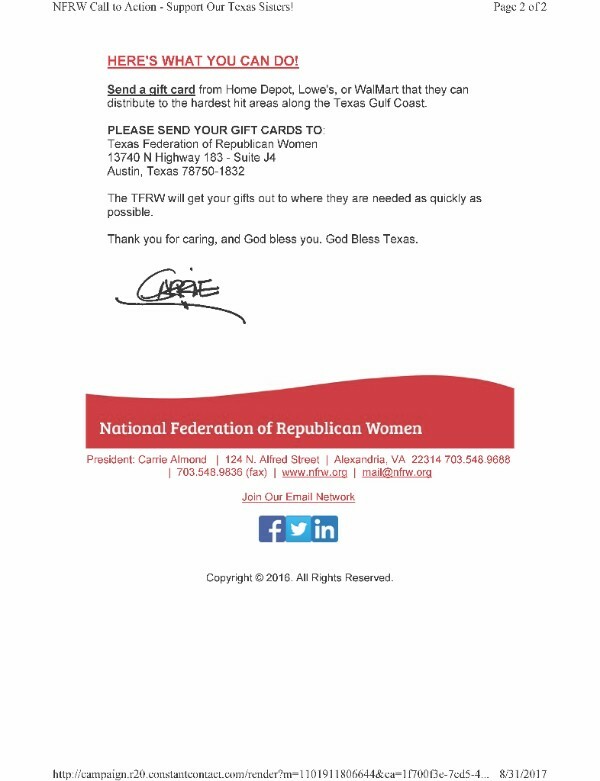 Stefanie on Get Your Trump Yard Sign!